centerfield maz fan Louie Diaz has a great Mets story from the Summer of 1969. 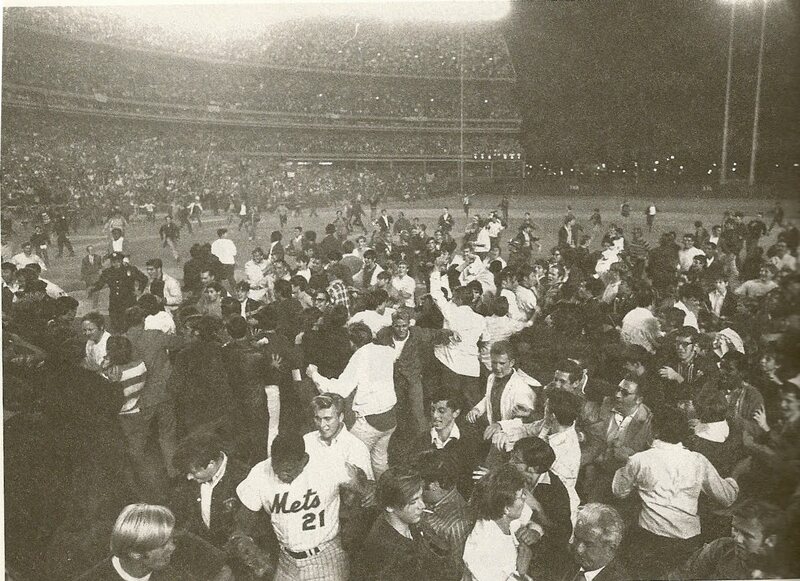 A young Louie was there the night the Mets clinched the NL East title in 1969 and can prove it. The following week Sports Illustrated ran its coverage of the Mets 1st place victory and among the pictures they published, there is Louie storming the field front & center. As years went by his brothers ex-wife ended up with the magazine & never gave it up to him. 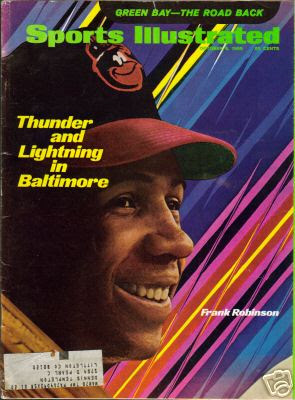 Louie went to online & recently bought a great copy of the October 1969 Sports Illustrated with Frank Robinson on the cover. He told the story to centerfield maz & it just had to be posted! September 25th 1969: Shea Stadium was packed with excitement as 55,000 fans were ready to witness the first stage of the miracle, the clinching of the NL East title. 1969 was the first year of divisional play, so the Eastern Title & NL Playoff Series were a whole new concept. Gil Hodges and his 1st place Mets were ahead of the Cubs by six games and tonight they took on the 4th place Cardinals, who were 13 ½ games back. The Cards sent future Hall of Famer Steve Carlton to the mound (17-10 with a 2.15 ERA) against the newest Mets Rookie star pitcher Gary Gentry. Gentry took the mound with an 11-12 record & a 3.53 ERA. Offensively the Mets wasted no time. Bud Harrelson led off the 1st with a single & next, Tommie Agee walked. 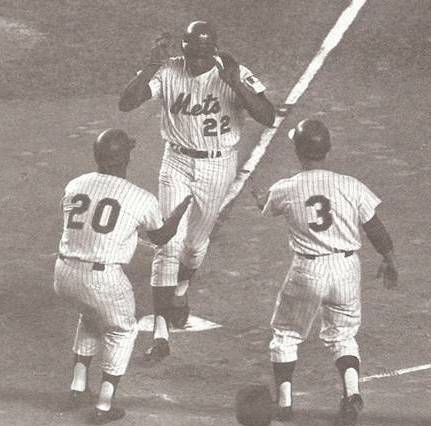 After Cleon Jones struck out, Donn Clendenon hit his 14th HR of the year to put the Mets ahead 3-0. Carlton still shaken up then walked Ron Swoboda. Next, the veteran Ed Charles “the Glider” hit a 2 run HR, his 3rd of the year, the 86th & final HR of his career putting the Mets ahead 5-0 to an ecstatic Shea Stadium. It was all they needed, as Gentry threw a gem. He went the distance pitching a four hit shutout striking out five along the way, walking only two. In the bottom of the 5th, Clendenon hit his second HR of the night off Dave Giusti, sealing the 6-0 victory. In the 9th inning Gentry struggled a bit, allowing two singles to Vic Davillio & Lou Brock. He then dug in to strike out Vada Pinson, and up came Joe Torre. 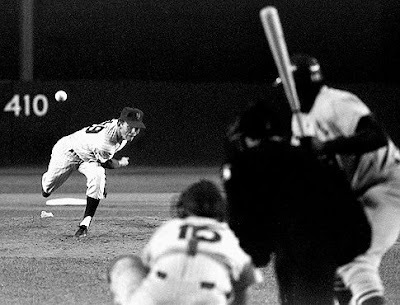 Torre grounded out to Bud Harrelson, who tossed to Al Weiss at second, who then threw over to Clendenon at first to complete the double play. The Mets had won the pennant and all hell broke loose. The fans stormed the field, and tore it to shreds. They tried to grab the player’s caps, the bases, the grass & anything else they could get their hands on that was or wasn’t nailed down. In the middle of the madness on the field is our own Louie Diaz with the brown leather jacket on. Quite a story! I was at that game w/my parents (I was 12) I went to Mary Queen of Heaven Grammar school and when a couple of the nuns found out they asked if we could take them. We were at field level at the end of the game and my dad told me to go on the field. A bunch of us went down by the Cards bullpen and Steve Carlton was there drinking a beer and said he couldn't believe tht the Mets cliched and said they're probably going to win it all.